Draco Adventure Sports is a joint venture between two established travel industry partners. Their aim is to promote participation in adventure sports while at the same time showcasing the tourism in Sarawak. Together they have a track record pioneering tourism products, logistics and organisation for a wide range of events including the Raid Gauloises, corporate sports events, mountain bike events, running events, film crews, group tour arrangements. Robert Basiuk – active in a variety of outdoor pursuits, Robert has been participating in and organising tours and events for most of his life. 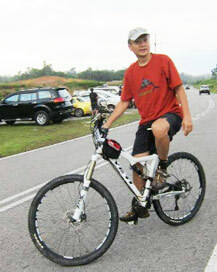 Resident in Sarawak for over 30 years, he was a route coordinator for the Raid Gauloises when it was held in Borneo and very much involved in the Sarawak mountain biking scene. JC Chua – returning home to Sarawak and loving it’s great outdoors, JC Chua was surprised by the lack of international adventure sports competition in the state and is determined to put that right. 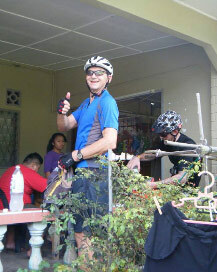 In his day job, he has pioneered many cycling tours @ Paradesa Borneo. Living an active and healthy lifestyle, he is a devotee to the sport of Triathlon (MTB / trail running / drinking).